All Districts in New York State are required to adopt an Annual Professional Performance Review (APPR) plan for both teachers and principals.. In compliance with the SED regulations, the BOE has approved an Annual Professional Performance Review (APPR) Plan to foster ongoing professional growth and development for all faculty and staff in order to improve teaching and learning. 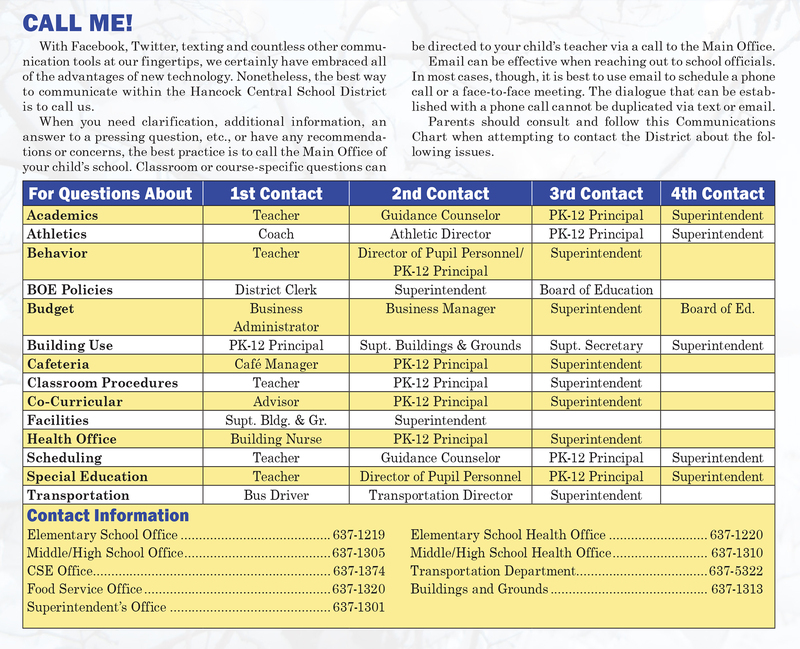 The school year has been extremely busy for Hancock Central School District officials as we have worked proactively with the board of education and the Hancock Teachers Association to implement management procedures and structures consistent with New York State Education Department (NYSED) mandates pursuant to Annual Professional Performance Reviews (APPR) and Common Core Learning Standards (CCLS).